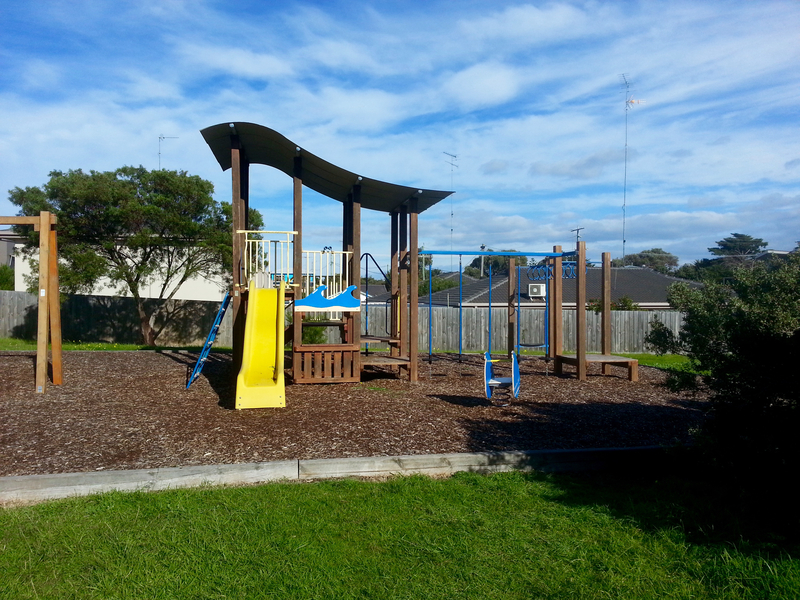 Located on the corner of Dare Street and Field Street South, Dare Reserve is a small grass reserve with a playground and picnic table. 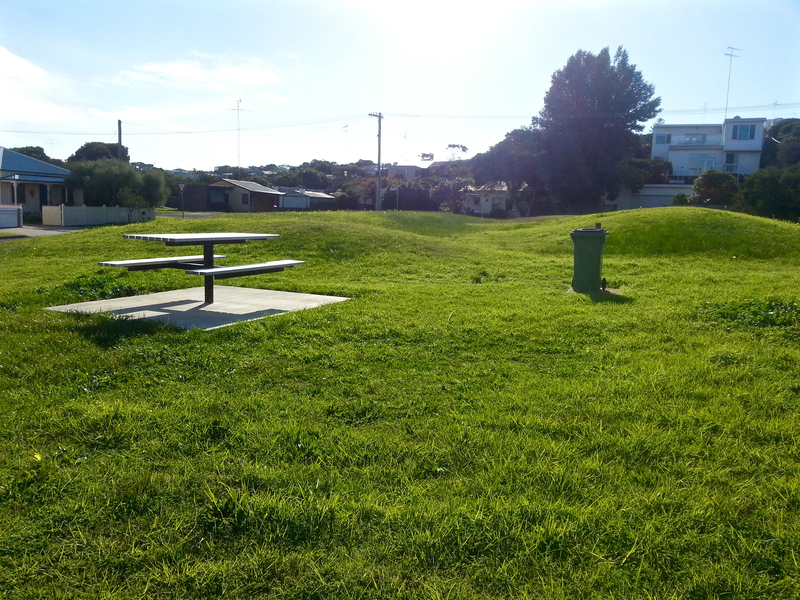 There is also a metal picnic table with seating and a rubbish bin, making it a nice place to sit and eat some takeaway fish and chips or enjoy a picnic lunch while the kids play. 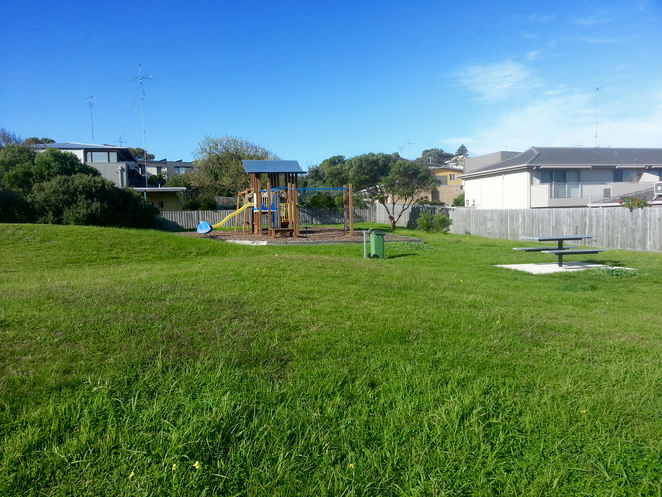 The reserve isn't fenced and doesn't have a designated carpark, however, free street parking is available. There also aren't any toilet facilities at the reserve, and the nearest public toilets are located at the Ocean Grove Shopping Car Park, which is about a 5-minute walk away. 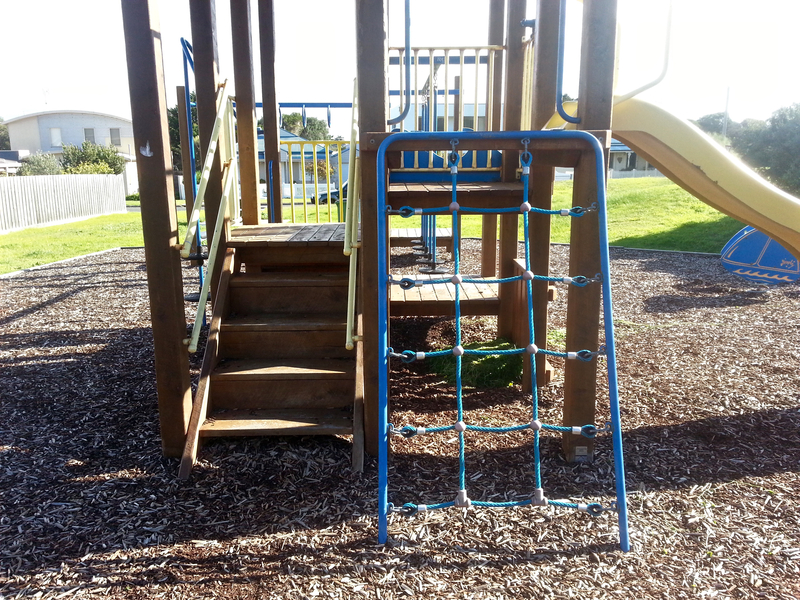 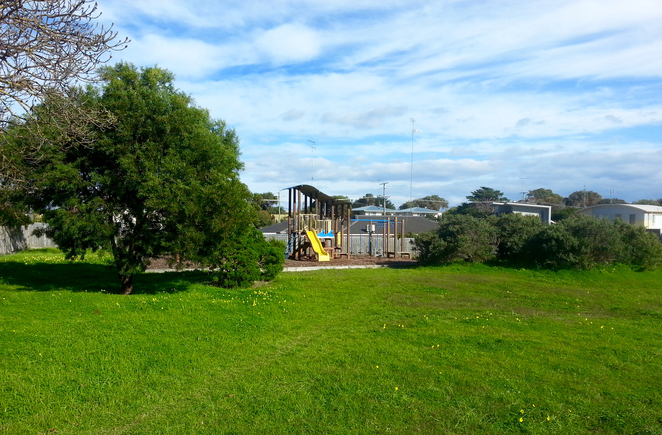 Compared to Ocean Grove's other reserves and playgrounds, it is quite small and hidden away. 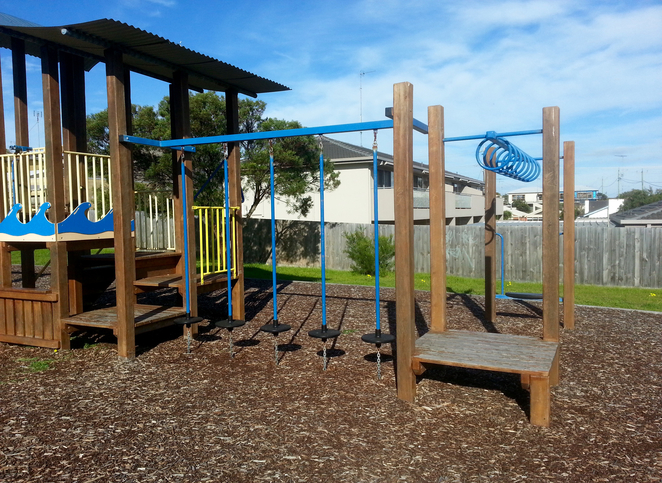 I imagine it probably doesn't get too busy, given its size and location (which can be a good thing during the busy Summer months and school holidays), however if you're looking for something a bit bigger, with more play equipment, I'd recommend Ocean Grove Park, which is about a 10 minute walk away. Lookout Reserve Playground is also just 500m away, however the playground there is also quite small. 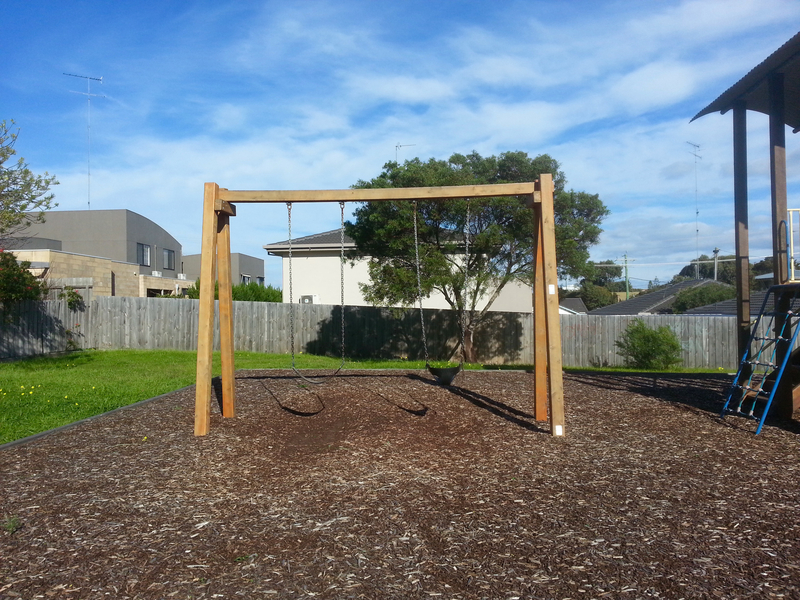 Overall, it's a nice place to stop by if you're heading to the beach or town centre.